Bathurst is located on the banks of the Macquarie River in the Central Tablelands Region of New South Wales. It is home to the Wiradjuri people and is the site of Australia's oldest inland European settlement. Bathurst is a vibrant country city with a rich cultural heritage and is recognised as a centre of learning. Bathurst manages to effectively combine rural, manufacturing and education industries with a lifestyle rich in sport, art and tourism facilities. 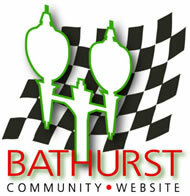 We hope this site will become your gateway to finding everything there is to know about Bathurst. In the coming months additional content and features will be added and we welcome contributions from the local community and interested persons. This is an enormous task so please be patient while we try to ensure that this site reaches its full potential.